Home > General Apparel Decorating > Embroidery Distortion: Not a Four-Letter Word! In commercial embroidery, distortion is an unpleasant fact, as much as you wish it wasn’t. No matter how great a design looks on a computer screen, it will be slightly different on the fabric. Accept distortion for what it is, and use these tips to work around it. 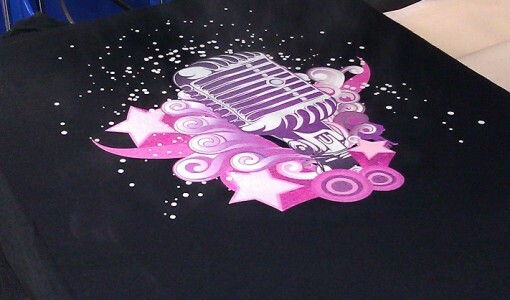 Anybody who works with either embroidery, digitizing or direct to garment printing, distortion is a four-letter word! Who wants to spend time creating the perfect embroidery design, just to have it “distorted” when it reaches the garment? However, the fact is no matter what you do, commercial machine embroidery will have distortion on the substrate when sewn. Why do we hate a distortion? What makes distortion despised is that you cannot beat it, no matter how you try. The relationship between thread and needle, sewing embroidery thread upon itself or adding additional fibers to different types of material will all cause distortion. Early on in their careers, many embroiderers and digitizers begin to hate the distortion. 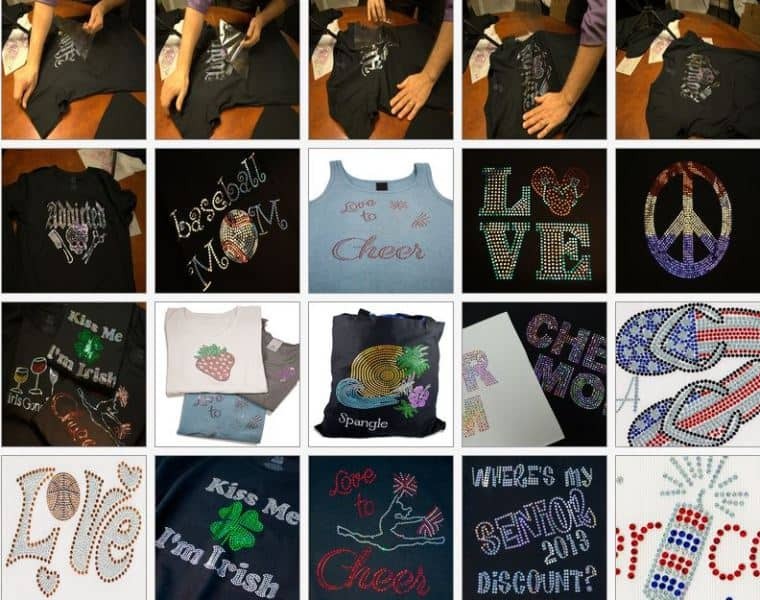 New embroiderers quickly become frustrated when their picture-perfect digital designs come unbalanced on the machine. Gaps in registration, cupping and puckering, leads many to think the only ways to prevent stretching and warping of design elements are mechanical or physical. 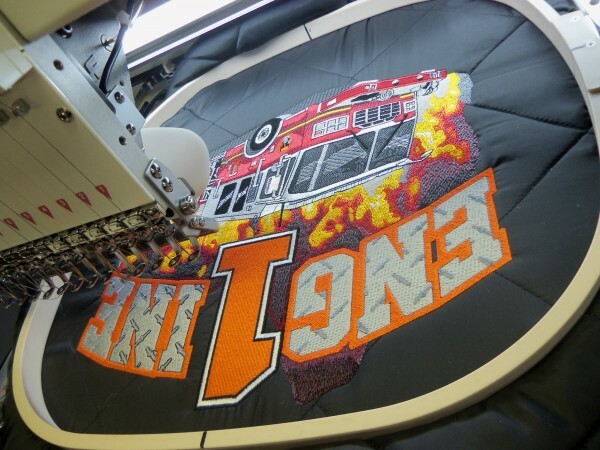 Embroiderers will do almost anything to stop distortion—furiously gluing down garments, adding layers of backing or stabilizer and cranking hoops even tighter. These practices only go to wrestle substrates into extreme and abnormal stiffness, often exacerbating the problem. Many believe the answer to distortion is by increasing stitch densities, forcing a design into smoothness. Varying hoop tensions and using backing for stabilization are now best practices for embroidery. 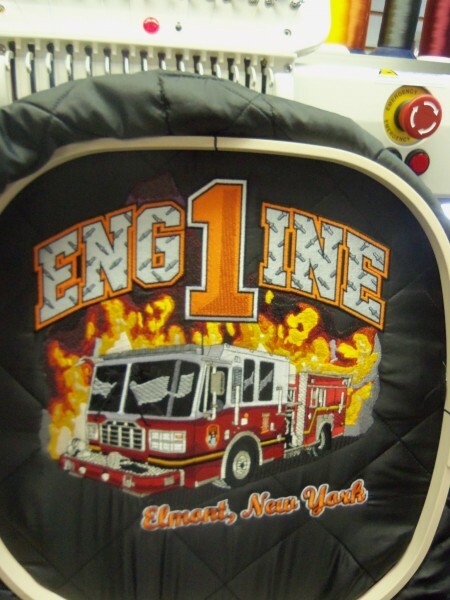 Unfortunately, embroiderers sometimes take these “best practices” to the extreme, resulting in heavy, rigid and overly distorted designs. Yes, registration may have been controlled, but at what cost? On the hoop, embroidery may look reasonable, but when wearing the garment, the design is extremely hard and stiff. Distortion is a matter of perception! Before you start to hate the distortion even further, wait! This is not a problem with the limitations of your equipment, but one of perception and approach. There are many misconceptions about distortion. Understanding them may not eliminate the distortion, but they could beat your embroidery stress. Who knows? You just might cause distortion to work in your favor! My embroidery is perfect. On the screen, that is! The assumption is that digitized embroidery design should render perfectly on a computer screen. Often, digitizers like Sierra’s Embroidery Office, begin by copying or converting art into segments. These bits and pieces render (somewhat faithfully) into angles and effects. Even great digitizers will have a design that looks beautiful in on the screen, but does not look the same on the fabric. This leads to another misunderstanding of distortion—compartmentalizing the design process is essential to digitizing embroidery. working with designs piece by piece actually works against the reality of embroidery. Even before the process begins, there is a slight push and pull. Most people new to embroidery end up scrambling to fix movement only after the design phase. They fail to adapt their digitizing efforts to take in account fabric puckers, wrinkles and waves while the fabric is pushed by the presser foot and pulled by the pressure caused by each stitch. What happens is that they do not think in terms of the sequence of elements by creating designs that tweak the fabric properly between two elements. 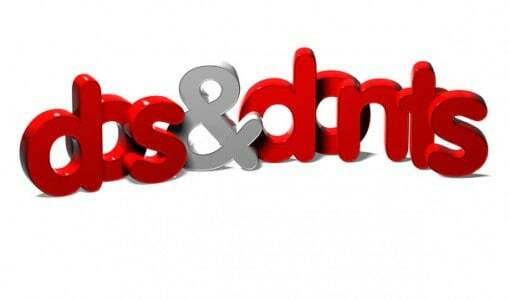 They also create designs that gradually force the material toward one side. Another problem is that they are convinced their designs are perfect and reassured by the picture-perfect appearance of the design on-screen. Next, they shift focus to stabilizing the material, believing that with enough backing, everything will turn out well. The result is layer upon layer of backing, creating designs that are unattractively stiff and rigid. Circles will have to be slightly oval on-screen to end up as round on the fabric. Satin stitches should be a little longer and narrower and outlines placed at the edges of elements, where the will be when they distort. This is slightly different from where they are on-screen. Overlap elements that are known to pull apart. Leave space or join elements that push into each other. Have a frame of reference for the amount an element will distort when stitched. This does take some effort, as well as trial and error. 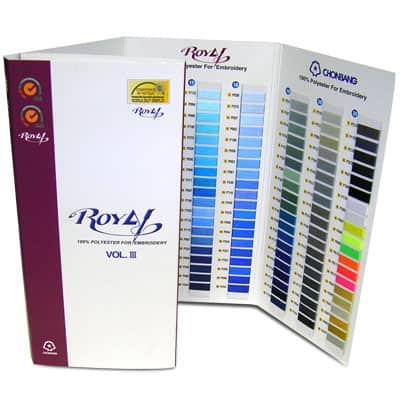 With any new material, you want to experiment; run a few samples on a new substrate. Accept the inevitability of distortion, evaluate your product, and organize your design to offset any unpredicted changes. Density plays a large part in distortion. You must remain aware of stitch density. Stitching material must have room to expand; stitches must also shift to allow higher density. With more density, you get higher distortion. A well-structured underlay at an angle opposing (or perpendicular) to the topstitching will raise it from the substrate, paired with backed down stiches. Understand both the flow and stitch direction. A frequent phrase in cap embroidery is “center out, bottom up.” This refers to sewing elements on cap designs for proper registration and preventing the crown from folding or buckling. The same should be for flats. Remember, the sequence will make a difference here. To fight distortion, catch the fabric wave! During stitching, fabric pushes slightly in the direction of anticipated needle movement. Areas stitched become stable and attached to the backing. Stitching another element toward previously stitched areas, results in a “pinch” of loose material, which leaves a wrinkle or ripple. To avoid excess warping, center the design on flats, or perhaps tack down loose fabric with underlay before stitching toward a feature previously stitched. Combating distortion is a challenge, but attention to these details can make the difference between an inferior product and something truly extraordinary. Great embroidery begins with good planning. To make your embroidery stand out, you must understand the nature of embroidery and the balance between needle, thread and fabric. Stay aware of the stitches: how many you use, when and where you put them. Distortion will always be a part of embroidery, but letting it ruin your product does not have to be. The right commercial embroidery supplies are the key to great results, particularly when you also get the best support and training. 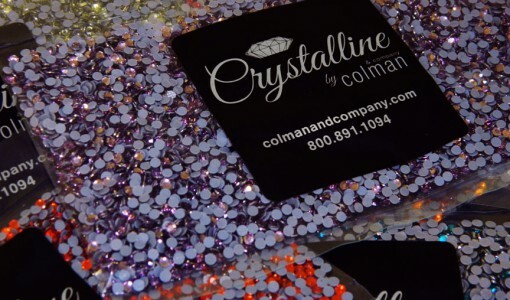 Colman and Company carries a full line of embroidery supplies in addition to all the professional support you need for success! 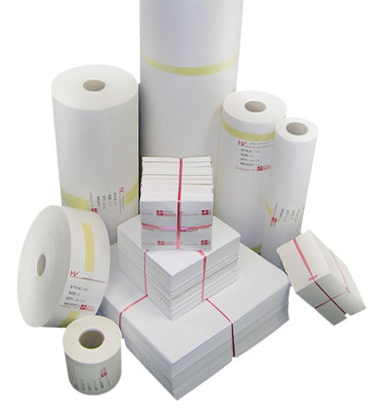 For more information, contact the expert staff at ColmanAndCompany.com, or call 800-891-1094. What are your best troubleshooting tips for dealing with distortion in embroidery? Let us know in the comments below.